Cathedral of the Pines is located at the base of historic Mount Monadnock, the most frequently climbed Mountain in the United States. 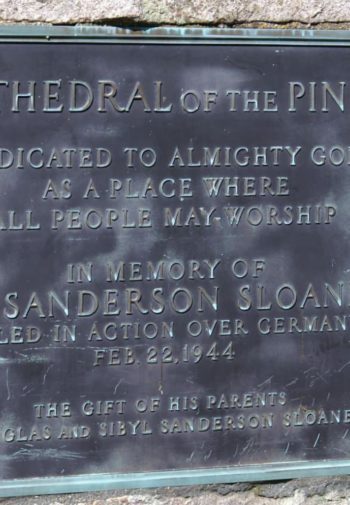 Situated on a hilltop, with panoramic views, Cathedral of the Pines is a breathtaking war memorial in Rindge New Hampshire. It is listed on the NH State Register of Historic Places. Our grounds are open to the public without any fee and accessible for all, including people with disabilities.